COMMENT | Over the years writing for Malaysiakini, I have received my share of online abuse. Sometimes there are even calls by people who I do not know, who hurl abuse when I am critical of the opposition. 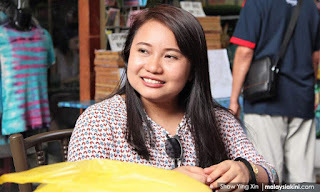 The funny thing is, I have more rational engagements with establishment supporters in terms of articles they write about my pieces than the apparatchiks who have hurled abuse, racist invective, built elaborate straw men and, yet, who pride themselves on being the people who want to "save Malaysia". This, of course, is nothing compared to what Malaysiakini columnist Maryam Lee has received. Young activists have sent me a data dump of toxic materials aimed at Maryam merely because she supports the #UndiRosak movement. Full disclosure. I wrote a two-part article critical of her arguments hence I feel if none of her critics wants to address the toxic atmosphere she is facing, it may as well be me. Two points that Maryam made when describing the toxic atmosphere she finds herself in are worth elaborating on.